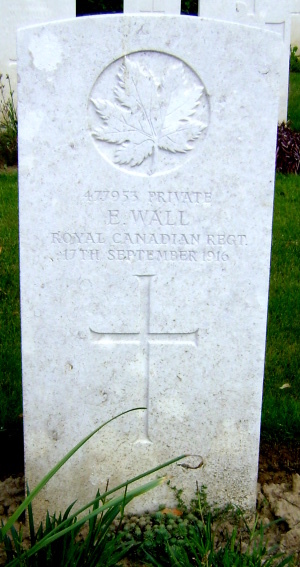 Contay is a village on the main road, Amiens to Arras. 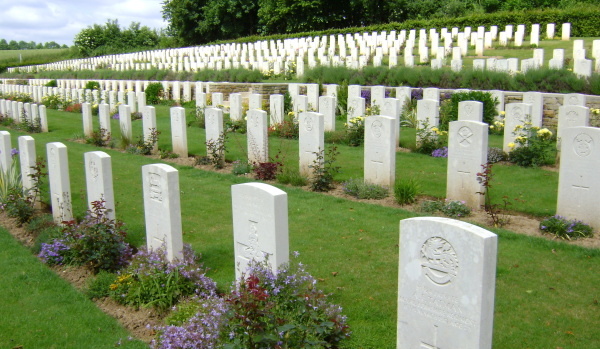 The Cemetery lies on the left (north east) side of the road to Franvillers. 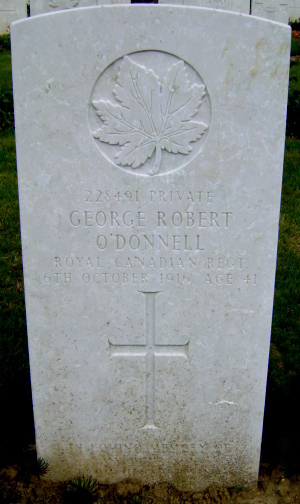 There is a CWGC road sign next to the church and square of the village and next to the D23, Franvillers - Corbie, sign. 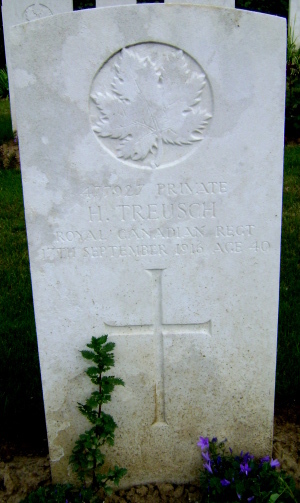 The distance from the CWGC sign to the Cemetery is approximately 650 metres. 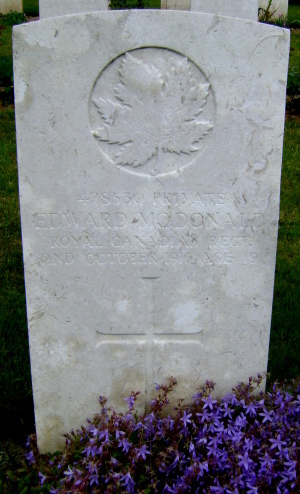 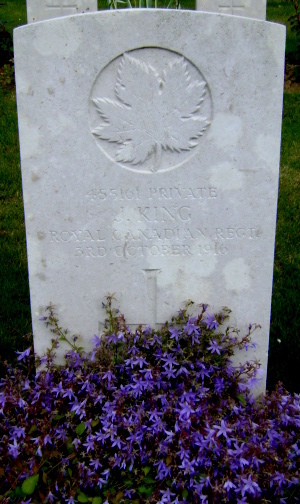 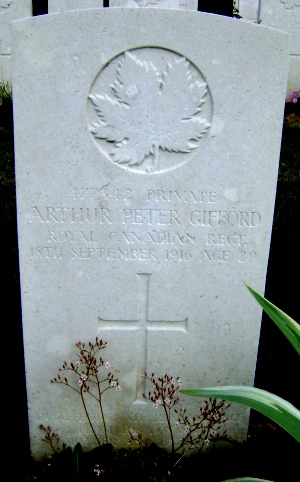 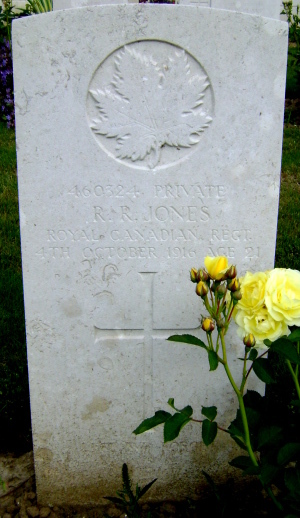 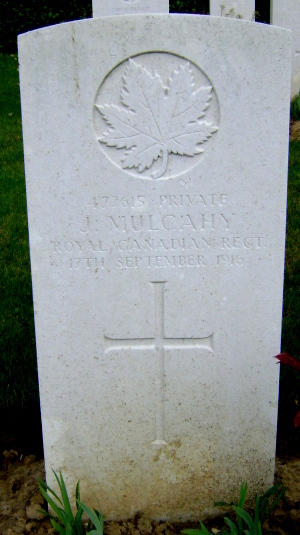 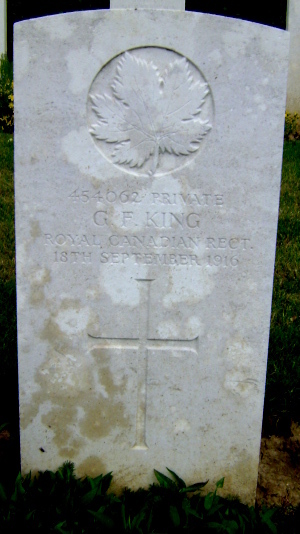 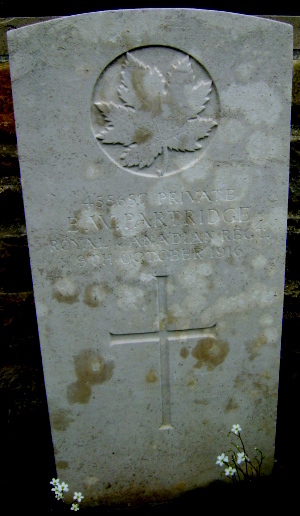 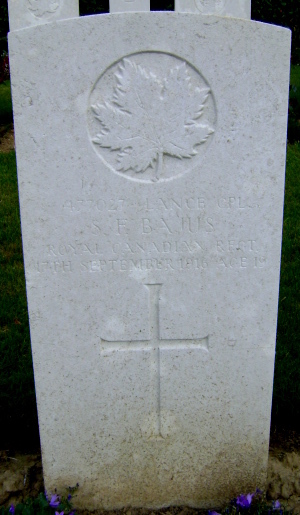 Royal Canadians buried at the Contay British Cemetery are listed below. 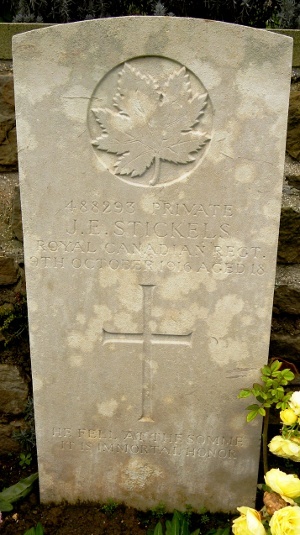 All photos by Avalon Eastman except for Pte Stickels, which was taken by Robert Pike, both are members of the Great War Forum.